WASHINGTON (Sputnik) - Russia does not want the New Strategic Arms Reduction Treaty (START) to suffer the fate of the Joint Comprehensive Plan of Action (JCPOA), also known as the Iran nuclear agreement, because of a changing US administration, Russia's Ambassador to the United States Anatoly Antonov said in a speech. 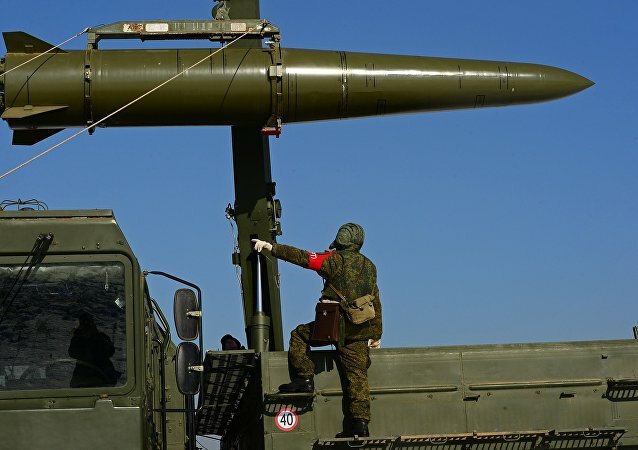 WASHINGTON (Sputnik) - Russia may be forced to deploy missiles capable of striking the entire European continent if the United States deploys such weapons in the region, Russian Ambassador to the US Anatoly Antonov said during remarks at the Stimson Center in Washington, DC. 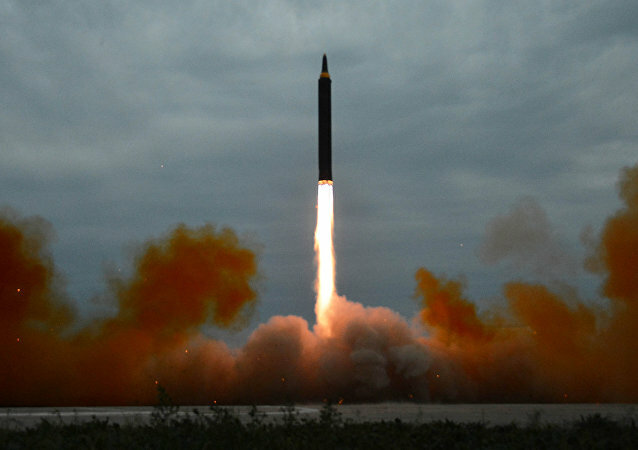 WASHINGTON (Sputnik) - Russia will never recognize North Korea as nuclear state and is ready to cooperate with the United States to achieve the denuclearization of the Korean peninsula, Russian Ambassador to Washington Anatoly Antonov said on Monday. WASHINGTON (Sputnik) - Russia is determined to rebuff any attempts to rewriting the history of the Great Patriotic War, Russian Ambassador to the United States Anatoly Antonov said at an embassy event. 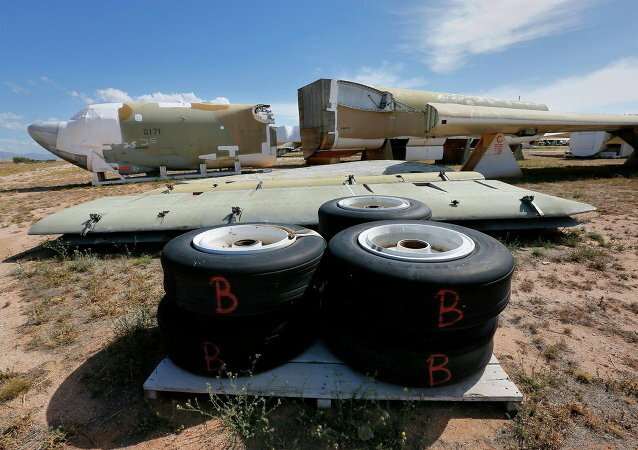 PRINCETON (Sputnik) - The demands issued by the US Congress regarding the New Strategic Arms Reduction Treaty (New START) with Russia are not acceptable, Russian Ambassador to the United States Anatoly Antonov told Sputnik. MOSCOW (Sputnik) - The Kremlin regrets the decision of the US administration to cancel the planned meeting between Russian President Vladimir Putin and his US counterpart Donald Trump in Argentina, the Russian presidential spokesman, Dmitry Peskov, said on Friday. 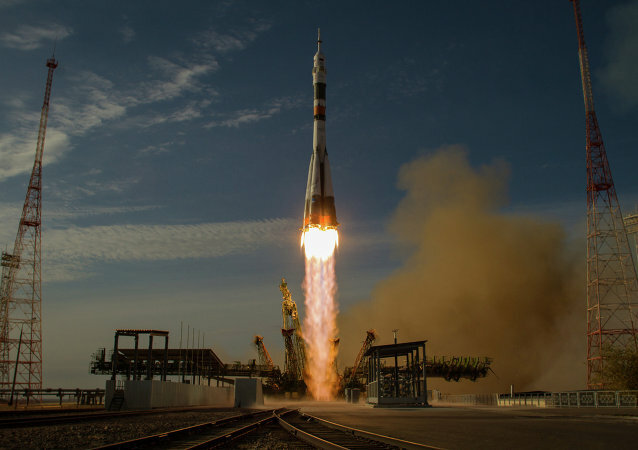 WASHINGTON (Sputnik) - NASA Administrator James Bridenstine said in a statement that he discussed US-Russia space cooperation with Russian Ambassador to the United States Anatoly Antonov. SALT LAKE CITY (Sputnik) - Russian Ambassador to the United States Anatoly Antonov told reporters that state of Utah Governor Gary Herbert supports the concept of establishing a high-level regional business commission between the two countries. SALT LAKE CITY (Sputnik) - The US policy of imposing economic pressure on Russia will not bring positive outcomes because Moscow has found ways to adapt to the restrictive measures and compensate for any losses, Russian Ambassador to the United States Anatoly Antonov said at a meeting with the business community of the US state of Utah on Tuesday. SAN FRANCISCO (Sputnik) - Employees of the Consular Section of the Russian Embassy in the United States will visit San Francisco within one month to provide consular services to locals, Russian Ambassador Anatoly Antonov told reporters on the sidelines of the Fort Ross Dialogue Forum in San Francisco. SAN FRANCISCO (Sputnik) - California Governor Jerry Brown told reporters that he is hopeful Russia and the United States will find a way to boost business and academic dialogue. SAN FRANCISCO (Sputnik) - It is vital for the United States and Russia to be together today to prevent further deterioration of the situation which could result in serious crisis, Russian Ambassador to the United States Anatoly Antonov said on Sunday. 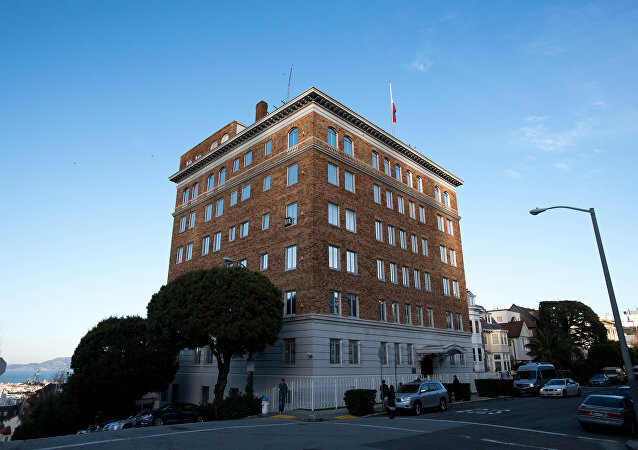 SAN FRANCISCO (Sputnik) - Russian Ambassador to the United States Anatoly Antonov told reporters on Sunday he had examined seized Russian diplomatic properties from outside. SAN FRANCISCO (Sputnik) - Russian Ambassador to the United States Anatoly Antonov on Sunday observed a minute of silence and laid flowers to pay tribute to the Russian sailors buried in the Mare Island cemetery in Vallejo, California. SAN FRANCISCO (Sputnik) - Russian Ambassador to the United States Anatoly Antonov said that US Defense Secretary James Mattis supports his project to upkeep the Fort Ross Orthodox Cemetery in California. SAN FRANCISCO (Sputnik) - Russian Ambassador to the United States Anatoly Antonov took part on Saturday in the unveiling and blessing of a memorial cross at Fort Ross Orthodox Cemetery in California. SAN FRANCISCO (Sputnik) - The deteriorating relations between the United States and Russia are worsening international security and weakening efforts to reduce nuclear arsenals, Russian Ambassador to the United States Anatoly Antonov said Friday. SAN FRANCISCO (Sputnik) - Moscow denies violating the Intermediate-Range Nuclear Forces (INF) Treaty and expects to receive clear proof regarding accusations to the contrary, Russian Ambassador to the United States Anatoly Antonov said on Friday. NEW YORK (Sputnik) - The positive tone and atmosphere at the Russia-US summit in Helsinki have not yet materialized in concrete projects, but Russia is ready for an equitable and mutually beneficial dialogue with the United States, Russian Ambassador to the US Anatoly Antonov said. 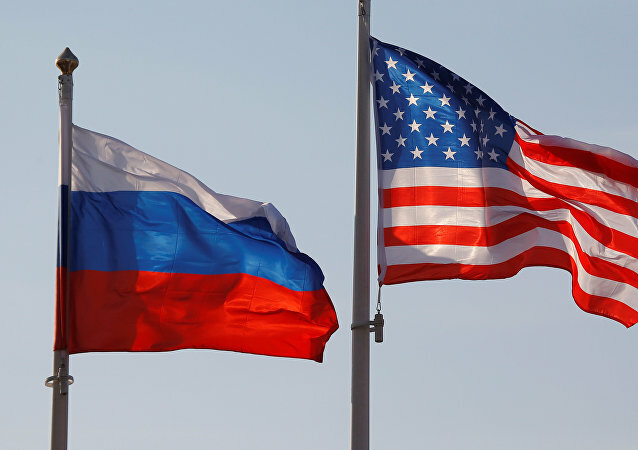 WASHINGTON (Sputnik) - Russia is working on establishing a high-level group to discuss the business relationship with the United States, Russian Ambassador to the United States Anatoly Antonov told reporters.